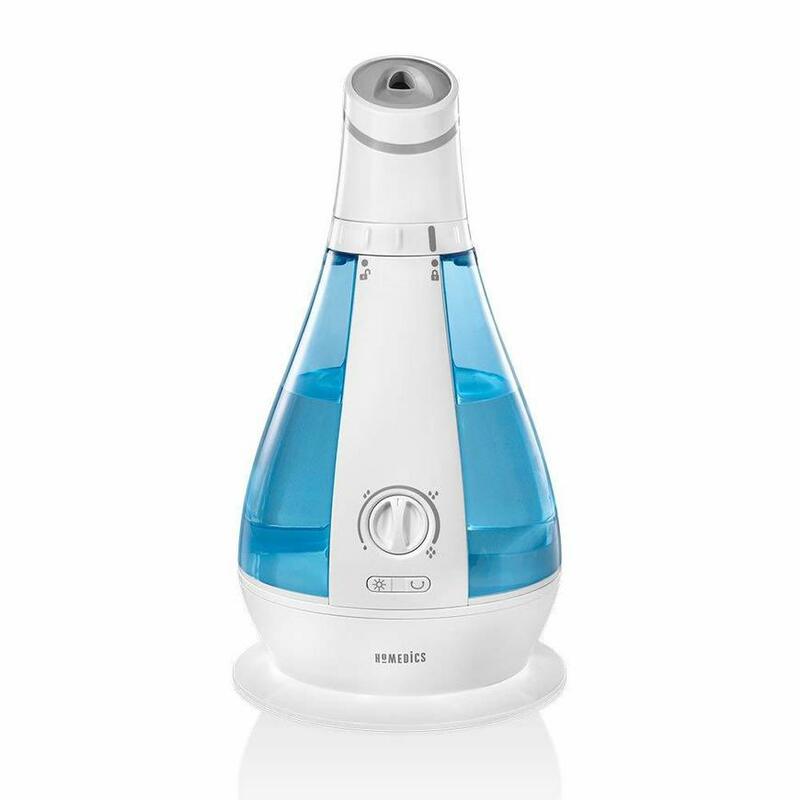 One of the biggest brands in wellness products, HoMedics, has been releasing humidifiers and other air quality products for many years, and it’s still considered one of the best options to turn to for your in-home wellness product needs. If you’ve been suffering from a stuffy nose, dry skin, and even annoying static electricity in your home, it’s needless. A high-quality humidifier can combat all those symptoms of arid air in your house. 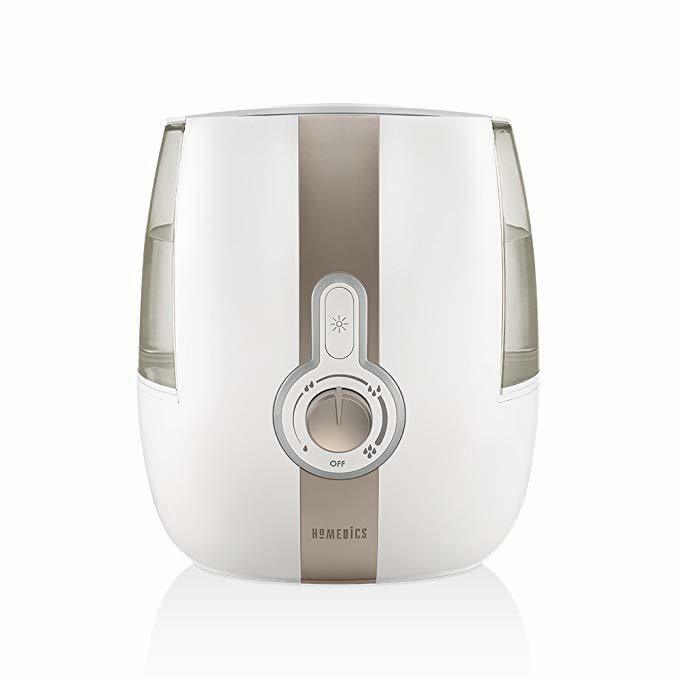 You may have already settled on HoMedics as the brand you trust and want to choose, but how do you choose the best HoMedics humidifier? This guide will help you compare the various features of humidifiers and types of humidifiers, and then you can figure out which one is right for you. And if you’ve never heard of HoMedics, or you aren’t sure about the brand, you’ll get a little information there, too. Be sure to read through the HoMedics humidifier reviews, too, so you can see how others just like you felt about each model. 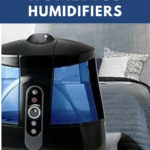 What Makes HoMedics Humidifiers So Good? Most humidifiers are meant to be used in a single room at home, but the HoMedics Personal Travel Ultrasonic Humidifier is small enough to take with you anywhere else that you need a little extra moisture in the air. Unlike most other humidifiers that require you to fill a tank with water, this one uses bottled water. It can take a 20-ounce bottle of water, which is typically the size. Simply fit the bottle onto the humidifier, plug it in, and soon you’ll be breathing better air. As easy to use as this is, it’s very small, and there’s potential for leaks. Part of the reason for that could be user error, or it could have a design flaw. Be sure you use a better-quality water bottle that screws into the unit securely – cheaper water bottles might have a harder time securing to the humidifier. While this little humidifier is ideal for a small space of about 100 square feet in size, it could be too small for what you need. If you’re looking for a HoMedics humidifier that’s smaller, portable, and uses water bottles as tanks, this could be your ideal humidifier. Often, choosing a humidifier means you have to compromise, but with the HoMedics TotalComfort Warm and Cool Mist Ultrasonic Humidifier, you can get the best of both worlds. It’s ultrasonic, so you don’t have to worry about fan noise, and you don’t have to wait on water to heat up and boil to create steam. However, you can change the cool mist into warm mist by pressing a button. Then the mist that’s emitted is slightly warmed, which can help during colder months. This humidifier works well in larger rooms, and it even does a great job in small houses to fill the whole place with humidity. The dual tanks are easy to remove and fill, and it makes lugging the tanks back and forth from the sink much easier. The 1.7-gallon capacity can give you up to 80 hours of mist, but if you run it full-time on high, you’re looking at more like 12 hours of run time. This unit doesn’t have fan noise, but you might notice gurgling or even a knocking sound on occasion, which could be a problem. Also, it’s a bit hard to clean the middle piece, so you might end up frustrated with keeping this model clean. If you need a humidifier that’s a bit larger for your space that gives you the option of cool or warm mist, then this could be a good choice for you. 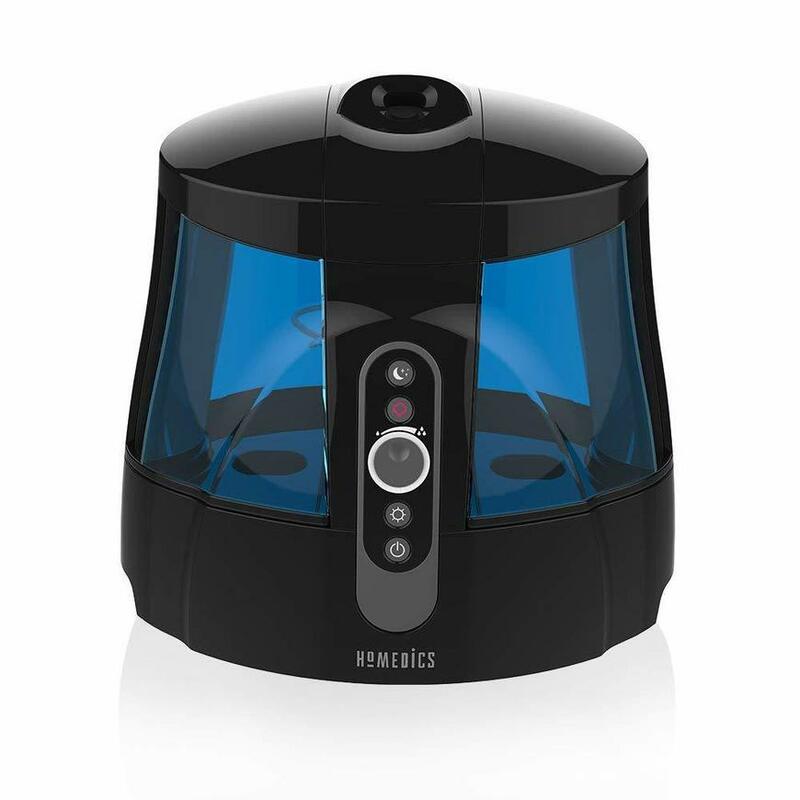 The HoMedics Cool Mist Oscillating Ultrasonic Humidifier is one of those machines that isn’t too big or too small, so it works well for a medium-sized room. It produces a fair amount of vapor with ultrasonic technology, so the unit is mostly quiet as it works. Plus, there’s no need for filter replacements. You will need to clean this regularly, though. The oscillating head makes this unit a little different from others on the market. As mist is released, the top will spin slowly to spread the humidity throughout the room. You can stop it and position it directly where you want the humidity, though. As quiet as ultrasonic humidifiers are, this one might be a bit noisy. The head that turns can make a clicking noise, and you might notice gurgling, or even a humming noise. The mist is variable, which means you get to pick how much mist is emitted at once. The 1-gallon tank will run for up to 48 hours, if you choose the lowest setting. Be careful when filling this tank, as the whole unit is a bit fragile. The handle may break if you hold the tank by it. And if the tank drops, expect shattering. If you’re looking for an ultrasonic humidifier that’s a just-right size for a medium room, this one might work well for you. The larger tank of the HoMedics Cool Mist Ultrasonic Humidifier means you won’t have to refill it as often as a smaller one. This unit’s tank holds 1.4 gallons, and it can run for up to 65 hours, if you choose the lowest setting. The variable mist knob lets you choose from low to two medium levels to high. There’s a nightlight included, as well, which makes this a good choice for a toddler’s bedroom, if they happen to be scared of the dark. However, the base is a bit narrow for the wide unit, which means it could easily topple over and spill water everywhere. The good news about this humidifier is that it offers effective humidity for your room and it doesn’t require the purchase of filters. You can add a demineralization filter, which softens hard water and can reduce white mist that is common of ultrasonic humidifiers. Refilling the tank is easy, part in thanks to the sturdy handle at the top. This unit can be a bit noisy, so if you’re sensitive to sound, then you might not be able to use this one in your bedroom. If you want a medium-sized humidifier that is easy to clean and refill, this may be the humidifier for you. 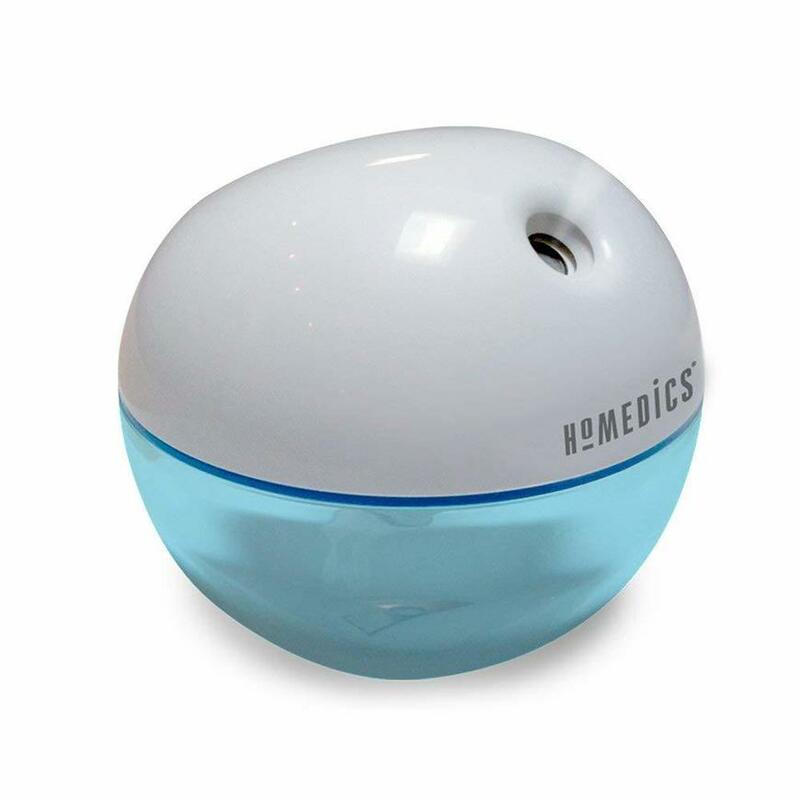 Sometimes you just need a little extra moisture in your personal space, and that’s where the HoMedics Personal Ultrasonic Humidifier comes in to play. This little humidifier is about the size of a large apple, or a coffee mug, which means it can easily sit on your desk at work or home. Plus, you can use a USB plug to power it, which is quite handy if you don’t have an extra outlet available. It’s also as easy to use as you would think. Just twist off the top and fill the tank, and it has one-button operation. The tank holds about 200 ml of water, which is just a little less than a cup. That amount of water should last you about five hours, so it means frequent refills if you need it to work all day. It is a quiet little humidifier, too, so it shouldn’t disturb office mates. This unit requires wicks/filters, which is odd because this isn’t supposed to be evaporative, but it’s still required. One big issue with this tiny humidifier is that there are lots of reported defects, so be sure you test it thoroughly when you first get it. If you need a tiny humidifier for your personal space, such as at your desk, then this could be an ideal choice for you. HoMedics has a lot of experience to back up its products and technology, and you benefit from that experience when you buy their products. The best part about buying the best HoMedics humidifiers is that you know they’re all using ultrasonic technology, so there shouldn’t be any surprises about what you’re getting, how to use it, or whether it’s safe to use around your children. Of course, not every humidifier can be the best. There is one stand-out that is the best HoMedic humidifier overall, and that title goes to Homedics TotalComfort Warm & Cool Mist Ultrasonic Humidifier. The dual tanks make it so much easier to refill, especially because together they equal nearly 2 gallons of capacity. That large of a tank also means that you can get up to 80 hours of humidity if you set this at its lowest setting. If you have hard water, you can use a demineralization filter, which should reduce the white dust that comes with ultrasonic humidifiers, but they aren’t necessary. You also get a night mode, which reduces the sound a bit and turns off the nightlight.